Why and how does working with another person or a team help educators think more deeply about learning and teaching? How does it help them step out of the box? The adage “two (or more) heads are better than one” is simply… true. When educators bounce ideas off one another, they stimulate each other’s thinking. They clarify curriculum standards and goals. They explore ideas for making connections to students’ interests. They discover multiple ways to link those ideas to student learning objectives. Collaboration with the goal of designing more engaging learning experiences for students works. Some MSLL blog readers may believe that the best way to educate students for their future is simply to turn them lose to explore whatever interests them, whenever it interests them. I am not one of those readers. I believe that learning objectives have a central role to play in guiding a guaranteed and viable curriculum (Marzano 2003). In his book What Works in Schools: Translating Research into Action, Robert Marzano shares thirty-five years of research related to improving student achievement. While I do make a distinction between “learning” and “achievement,” student achievement in terms of courses completed successfully, high school graduation rates, and scores on standardized tests are still factors that can support or limit a student’s life choices. Marzano organized this research into three buckets: the school level, the teacher level, and the student level. At the school level, a guaranteed and viable curriculum, challenging goals and feedback, parent and community involvement, a safe and orderly environment, and collegiality and professionalism all had have positive impacts on student outcomes. At the teacher level, instructional strategies, classroom management, and classroom curriculum design improved student achievement. At the student level, the home atmosphere, learned intelligence and background knowledge, and motivation all affected students’ learning. Many of the school-, teacher-, and student-level factors, including collegiality, instructional strategies, curriculum design, and student motivation are addressed in Maximizing School Librarian Leadership: Building Connections for Learning and Advocacy. In a “school that learns” (Senge et al. 2012), everyone is invested in everyone else’s success. When school learning communities are collegial, they have the foundation to work as a team to enact their professional responsibilities. They can lead—together. It is through their understanding of the strength that comes from collaboration that allows the actions of the collective to far outstrip those of individuals. Curriculum is a guide. Educators can use that guide in traditional or innovative ways. When working collaboratively, school librarians and classroom teachers can inspire one another to design learning experiences that are both “new and better” than those taught in the past. 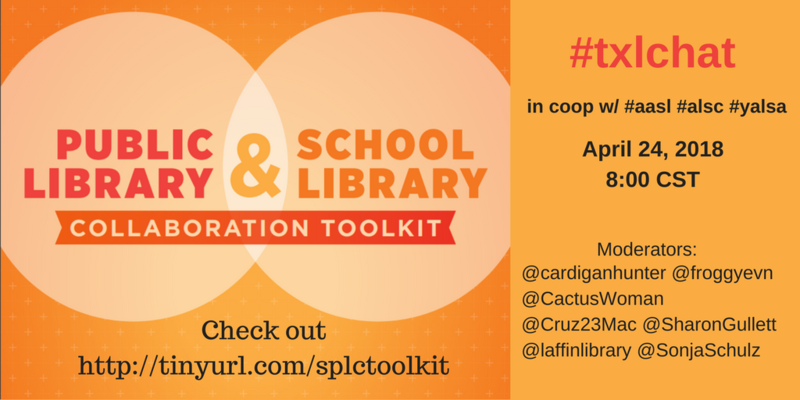 (See 10/8 blog post Classroom-Library Coplanning.) While it should be the goal of every educator to ready students for self-directed learning, many students need the effective instructional strategies and interventions that educators provide through modeling, monitoring, timely and specific feedback, and assessing student progress. Students benefit from coteaching because they have the support of two (or more educators). Coteaching reduces the chances that any student or group of students will lack the personalized attention of an educator. Student-led inquiry puts students in the driver’s seat as they negotiate the space between their interests and the curriculum. Educators support students in finding that sweet spot that connects in-school learning with students out-of-school lives and real-world issues. Motivated students develop literacies, practice skills, grow their dispositions, and deepen their knowledge through the inquiry process. In his book What School Could Be: Insights and Inspiration from Teachers Across America, Ted Dintersmith (2018) proposes using the PEAK concept when transforming schools. PEAK stands for purpose, essentials, agency, and knowledge. Purpose: Students must have opportunities to wrestle with problems that are important to students and the community. Problems and student learning must have a real-world impact. It must also be publicly displayed so that students (and their audiences) learn young people can indeed make a difference in the world. Essentials: The essentials are skill sets and mindsets, such as creative problem solving, communication, collaboration, critical analysis, citizenship, and aspects of character (dispositions). Knowledge: Finally, they must have deep and retained knowledge they can access, teach others, apply, and showcase in the quality of what they create, build, make, and design (Dintersmith 2018, 38-39). For me, PEAK and effectively applied inquiry and problem-based learning are one and the same. Purpose, essential skills and mindsets, agency, and knowledge are the goals and objectives of inquiry learning. School librarians can be coleaders who, through coplanning and coteaching, guide more engaging and relevant curricula to best support and prepare students for their current academic success as well as for their future lives. How did you learn to serve as a curriculum developer? How free do you feel and act as a curriculum developer in your school? Dintersmith, Ted. 2018. What School Could Be: Insights and Inspiration from Teachers Across America. Princeton, NJ: Princeton University Press. Marzano, Robert. 2003. What Works in Schools: Translating Research into Action. Alexandria, VA: Association of Supervision and Curriculum Development. From Where Does Your Authority Come? The authority of an author is one of the first pieces of background knowledge we ask students to consider as they weigh the value, reliability, perspective, or bias in information. The importance of researching the author’s or authors’ credentials, knowledge, experience, and prior contributions to the conversation on any given topic is equally important for educators who are considering reading a professional book. As a preservice classroom teacher in the 1980s, I was schooled in literature-based teaching. This involved developing units of instruction in all content areas based on literature text sets. These topical or thematic text sets included fiction and informational texts in all genres at a variety of reading proficiency levels. Those text sets even included media (! ), which in those days focused on films (and yes, filmstrips), cassette tapes and other recordings, artifact kits, computer-based programs, and more. The goal of developing text sets was to give students choice in exploring resources to develop their literacy and increase their content knowledge. It wasn’t until my early years as a school librarian that I was introduced to inquiry learning. In my third year of practice, I transferred school districts and secured a position in a high-needs elementary school in a district that had received a Library Power grant. The National Library Power Project was funded with a grant from the Dewitt Wallace-Reader’s Digest Fund. Over the course of ten years, the fund provided $45 million 700 schools in 19 school districts across the United States. I led the team at Corbett Elementary in writing our school’s successful Library Power application. This grant likely changed the course of my career in school librarianship. All Library Power school library programs in the Tucson Unified School District (TUSD) were required to operate with flexible scheduling based on classroom-library collaboration for instruction. The grants included funds for purchasing new print and electronic resources and renovating the physical spaces of our libraries. Perhaps, most importantly, Library Power districts provided professional development (PD) for classroom teachers, school librarians, and principals. School librarians involved with TUSD’s project participated in “Cooperative Program Planning,” a week-long training provided by Ken Haycock. This training was focused on classroom-library collaboration for instruction. In TUSD, we launched a follow-up PD series for which Library Power school librarians were required to bring a classroom teacher colleague to learn and practice coplanning strategies, and prepared to coteach in the classroom or library. I was hooked. To be honest, I had felt inadequate as a classroom teacher working solo in my classroom. As an isolated educator, I never felt I could simultaneously address the needs of English language learners as well as the students reading and writing far above their grade level. As a school librarian coteacher, I experienced the benefits of two heads for planning, four heads and four hands for coimplementing instruction and coassessing student learning outcomes. I achieved more satisfaction as a coteacher because I experienced the power of two educators offering students more personalized learning than one educator working alone could provide. Students were able to succeed with individual and small group inquiry projects. And my collaborators and I shared a sense of achievement in meeting students’ needs and developing our instructional expertise alongside one another. It wasn’t until I transferred to another Library Power elementary school and began regularly teaching a graduate-level course in school librarianship at the University of Arizona that I realized I could be recording classsroom-library ollaboration testimonials from classroom teachers, specialists, and administrators. I began recording in 2001, and other school librarians have since contributed to this page. The most recent video was crowdsourced and includes testimonials from principals and district-level leaders from across the U.S. regarding their experiences working with professional school librarians: “Principals Know: School Librarians Are the Heart of the School” (2014). My goal in capturing these testimonials was to inspire preservice school librarians to help them understand the benefits of classroom-library collaboration from the perspectives of classroom teachers, specialists, and administrators. Rather than “taking time away” from classroom teachers (losing or taking planning time or classroom instructional time), I wanted to show future school librarians that other educators would welcome their instructional partnership invitations. These testimonials show that educators and administrators value what school librarians bring to the collaboration table and know how our teaching increases student learning. What are your defining professional experiences and how have the influenced the way you teach? Whose work has guided your instructional practices, and how do you currently apply their thinking and strategies in your teaching? Haycock, Ken. 2007. “Collaboration: Critical Success Factors for Student Learning.” School Libraries Worldwide 13 (1): 25–35. For the 2018-2019 academic year, I will be using my blog to support educators who are using my book Maximizing School Librarian Leadership: Building Connections for Learning and Advocacy as a book study selection. This month (August), I blog about the information found in the preface and the introduction and the to use the book as a book study selection. In September, I will blog about Chapter 1: Building Connections for Learning and continue dedicating each month during the academic year to subsequent chapters in the book. You can find the schedule and links to these blog posts, on the book page of my blog. Each month, I will introduce that month’s chapter with a podcast. In the preface of a book, authors often explain why they wrote the book. They often use the preface to establish their credibility in terms of their experience on the topic or their professional background. To apply an old term from the study of rhetoric, a preface is in a sense an “apology”: an explanation or defense. From a professional standpoint, “collaboration” is the skill and educational value that is primary in my heart, mind, and experience. For me to fulfill my purpose as an educator, I have chosen to collaborate with others to reach for my individual and our collective capacity to serve the needs of the students in our care. I know from experience that none of us can succeed with all students in all content areas if we choose to work in isolation from our colleagues. I have served in collaborative culture schools and worked on non-collaborative faculties as well. I know the difference in terms of my ability to learn and grow. I know the difference in terms of what we can accomplish and offer students by working together. I know it takes a village to help students and educators reach their capacity. Simply put, there is no comparison between a collaborative culture and non-collaborative culture learning community. Culture is everything. At times in my teaching career when my collaborative purpose and the purpose of the learning community were aligned, there was absolutely no limit to what we could accomplish together—and no limit to my joy and sense of achievement. A culture of collaboration is focused on both individual and collective growth. “If every member of a team doesn’t grow together they will grow apart” (Simon, Mead, and Docker 2017, 195). As a school librarian, I have had awesome (no exaggeration) opportunities to co-lead along with administrators and classroom teacher leaders in collaborative culture schools. These experiences have shaped me, and they shaped this book. Over my seven years of service at TWU, I taught this course twelve semesters, occasionally teaching two sections in one semester. I learned a great deal from the over three hundred students who participated in the course. There were students who entered LS5443 with open minds or prior positive experiences with collaboration; they embraced coplanning, coteaching, and co-leading. There were other students who struggled to let go and trust their fellow students; they resisted collaboration. Some developed their collaborative ability over the course of the semester; others left our course adamant that they would seek library positions in which they could work alone. When I completed this book in November of 2017, I realized that Maximizing School Librarian Leadership: Building Connections for Learning and Advocacy, is the text I wish I had had to help guide the preservice school librarians who participated in LS5443. Perhaps this text would have helped me more effectively communicate the deep sense of purpose and satisfaction that is possible when school librarian leaders collaborate to co-create a culture of learning. I hope all school librarians will come to know through first-hand experience that teaching and learning within a collaborative culture of learning is the context in which they will succeed in educating students for the present as well as for their futures. When school librarians serve as culture builders, practice job-embedded professional development, and lead as changemakers, they can and will be leaders on teams that transform learning and teaching. What is your WHY related to your career in school librarianship? What do you hope to learn, or wish you had learned in your preservice school librarian education? Sinek, Simon, David Mead, and Peter Docker. 2017. Find Your Why: A Practical Guide for Discovering Purpose for You and Your Team. New York: Penguin. Note: I reviewed this book on my blog in two parts on October 16 and October 23, 2017. Maximizing School Librarian Leadership: Building Connections for Learning and Advocacy will be published by ALA Editions in June, 2018. As a preview to the book, I am using one or two blog posts a month to share a one-page summary of each of the nine chapters in the book. “Our opportunity—and our obligation to youth—is to reimagine our schools, and give all kids an education that will help them thrive in a world that values them for what they can do, not for the facts that they know” (Wagner and Dintersmith 2015, 222). Assessment must always be conducted in the service of learning. When educators conceive of learning as an on-going journey that students and educators take together, they can keep their focus on assessments as measures of both students’ development and educators’ effectiveness. School librarians can maximize their instructional leadership by developing assessment tools, assessing student learning outcomes, and reflecting on the effectiveness of their instruction with a trusted colleague. These activities lead to evidence-based practice. During coplanning, classroom teachers and school librarians must determine “how” knowledge, literacies, skills, and dispositions growth data will be collected, analyzed, and used to improve schooling for future ready students. Educators use formative and summative assessments and reflection activities to measure student growth. The formative assessments monitor student growth and provide students with timely feedback so they can improve their work. Formative assessments also inform educators’ subsequent instructional decisions. Educators use summative assessments at the end of an inquiry unit and are often represented as final project grades. Reflective activities integrated throughout the inquiry process help students understand their own learning process and improve their ability to transfer learning to new contexts. Rather than using traditional standardized, multiple choice, and fill-in-the-blanks tests to assess students’ content knowledge, educators use performance-based measures to assess how students apply future ready learning in real-world, authentic contexts. “The integration of authentic learning tasks with diagnostic assessment and project monitoring is a powerful education instrument for [instructional] change and student achievement” (Moreillon, Luhtala, and Russo 2011, 20). The effectiveness of performance-based assessments is determined by how well students can use them to guide their learning process and self-assess their progress as well as their final product or performance. 4. A Challenge for Building a Positive School Climate and a Culture of Collaboration. School librarian and library program evaluation and self-assessment must be based on rigorous criteria. Performance reviews must be designed to guide and improve school librarians’ practice. As a result, it may be necessary to modify district-level evaluation tools to reflect school librarians’ vital contributions to student learning, educator development, and school culture. Moreillon, Judi, Michelle Luhtala, and Christina Russo. 2011. “Learning that Sticks: Engaged Educators + Engaged Learners.” School Library Monthly 28 (1): 17-20. Wagner, Tony, and Ted Dintersmith. 2015. Most Likely to Succeed: Preparing Our Kids for the Innovation Era. New York: Scribner.